We created a section of the site to hold and display a sequence of Banners. "The banners are like a set of family coat of arms to the Warlpiri people of Lajamanu; individuals are able to identify which banner belongs to them as they represent their family's dreaming symbol." We took great care with the layout and flow of the presentation. 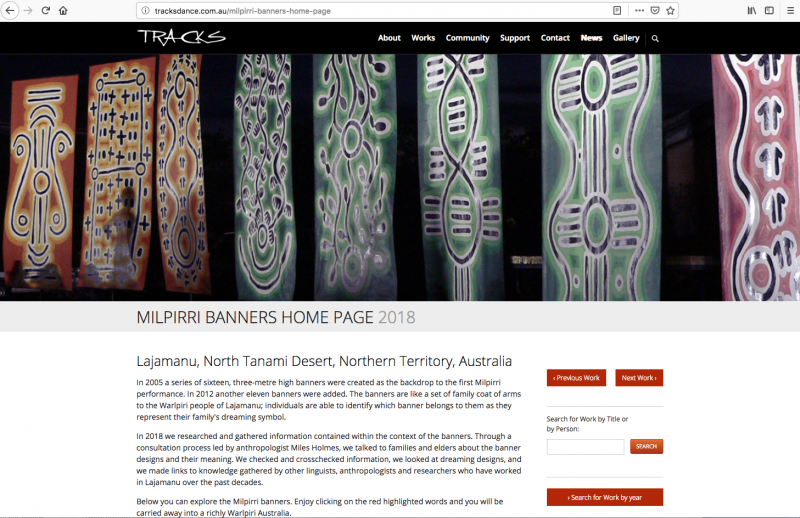 Take the time to look through the Milpirri Home Page 2018.